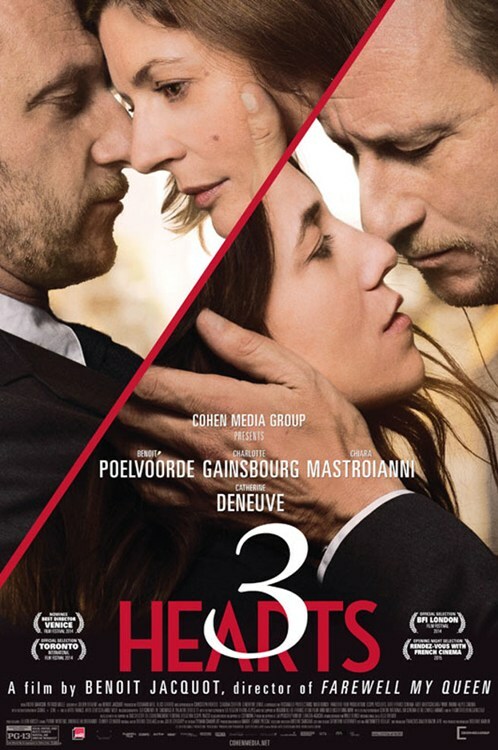 3 Cœurs | 3 Hearts Movie Synopsis : One night, somewhere in France, Marc meets Sylvie after missing his train back to Paris. Immediately at ease with each other, they wander through the streets until morning in rare harmony, speaking about everything except themselves. A thwarted plan for a second meeting sends Marc to encounter another woman, Sophie. Marc falls in love and marries her, being unaware that his new bride is Sylvie’s sister.